In one of our recent blogs we briefly touched on the subject of 3D printing, which is being hailed by some as having the potential ability to revolutionise the engineering and manufacturing industries. Whilst this revolutionary technology is still in its early stages, the advancements made to date using this innovate technology really are remarkable. 3D printing has now advanced from product prototyping to a variety of exciting applications and we&apos;re now far removed from the time when a printer was just a printer. Here we take a look at some of the amazing feats of engineering that have already been achieved thanks to the advent of this remarkable technology. Whilst to some the concept of 3D printing may at first appear a little trivial, this revolutionary technology does, in fact, have the potential to transform lives. Across the world 3D printing technologies are being used to manufacture prosthetic limbs for amputees, giving people new hope. For example, 3D printers have been used to provide low-cost prosthetics for the victims of bombing attacks in war-torn Sudan. It’s not only humans that are benefitting either; 3D printers have also been used to produce specially-designed prosthetics for dogs too! 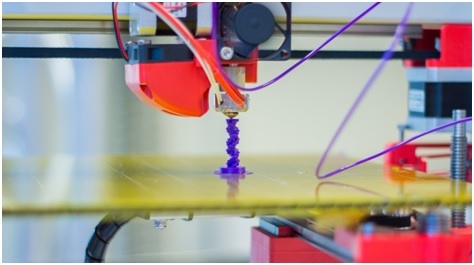 3D printing is also being used for a variety of other exciting applications within the healthcare sector too. 3D printing techniques are being utilised to aid in the development of living organs, and scientists are said to be on the brink of a major medical breakthrough. For decades scientists have been searching for a mean of solving the organ shortage problem and it&apos;s hoped by some that 3D printers, capable of printing cells instead of ink, could provide the solution. Researchers have already begun developing a means of printing human tissue, utilising a technique known as bioprinting and earlier this year, a team from Harvard used a 3D printer to make human tissue, complete with rudimentary blood vessels. The team is currently working to develop 3D printing techniques that could be used to build an entire living kidney, capable of being transplanted into patients, and you can find out more about this here . As proud players in the manufacturing industry, here at European Springs we&apos;re excited to see what the future will hold for 3D printing. We&apos;re experts in the field of spring technology and manufacturing, and suppliers of a range of high-quality spring products including compression springs. For more information please don’t hesitate to contact us today by giving us a call on 0208 663 1800 and a member of our friendly team will be happy to help you with your enquiries.